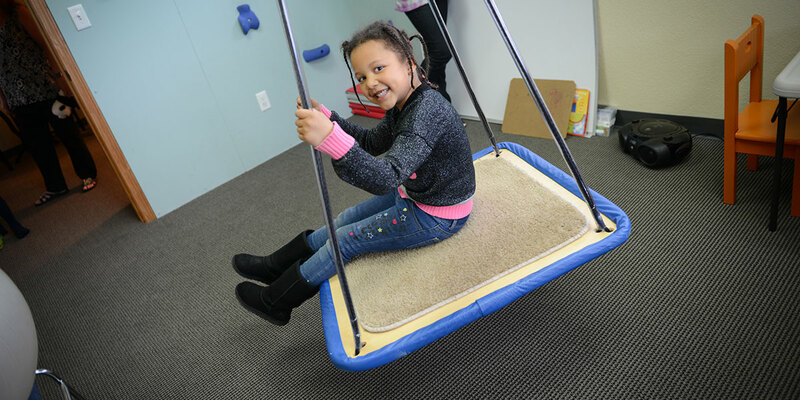 We currently offer pediatric occupational therapy. We are also looking for a pediatric physical therapist to join our team! OT “looks” different and can vary from person to person, depending on the age, diagnoses and concerns of each child. The beauty of Occupational Therapy with children is that it looks like play – and it is. Play is a beautiful thing. OT’s can select and adapt activities to meet the needs of our children. We are having fun but your child is working, really hard. A typical OT session for children includes a variety of exercises that focus on strengthening the brain and body development. This includes gross motor exercises that focus on whole body coordination and movements. We prioritize exercises with the core muscles for a variety of reasons, including strength and breath control for regulation, just to name a few. We incorporate a variety of fine motor activities, which can be incorporated into other activities or present itself in the form of game play, craft activity, or a snack. Specific activities will be selected due to your child’s needs, preferences and goals of therapy. When you bring your child to Pediatric OT, it should be an enjoyable experience. 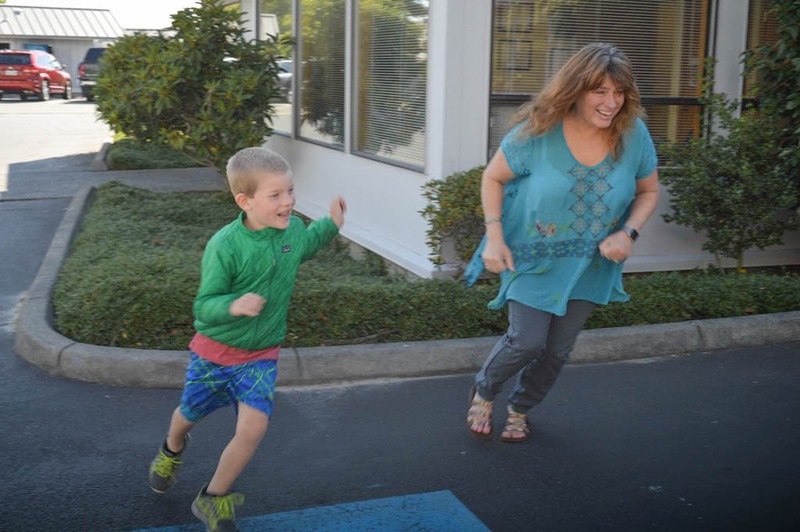 We enjoy helping families in a fun, creative and supportive environment. We also listen to concerns and target goals to meet the needs of the family, all the while providing professional suggestions and functional, goal-directed occupational therapy services. We are here to help the child succeed, and that often makes the child and the parents happy. Thank you so much for everything you have done for Ava over the year and a half that you have been our OT. The impact you have had on her goes beyond your professional responsibilities – she is so excited to see Ms. Shelby, her friend & enjoys the time spent with Ms. Shelby, the therapist who helps make her feel better. I’ve seen so much improvement in – since we started and am grateful for all you have done! You make a difference in the lives of so many children. Collaborating with family members, educators and other health providers, we design a program aimed at meeting specific and attainable goals. Rue and Primavera’s pediatric OT program is fun, with services provided in a safe and clean, relaxing family friendly environment. Shelby presents with professionalism and joy when serving children and their families. She has been working with children and their families for four years. We are eager to work with children of all abilities and their families. I have nothing but great things to say about my experience with Rue & Primavera Rehabilitation. My 4 month old daughter refused a bottle despite trying every suggestion given to me by family, friends and even my pediatrician! As a working mom this became very problematic as I was having to leave my shifts as an RN to breastfeed her. Shelby O’Connor worked closely with my daughter and me to get to the bottom of the problem. Shelby helped me pick the right bottle for my daughter’s oral anatomy; through exercises, desensitization and lots of patience my daughter was accepting a bottle after 3 weeks and I was able to go back to working full shifts! Great team! Great experience!